As the technology keeps evolving, web design trends have also drastically changed to meet the rising expectations of users and clients alike. The emergence of mobile web has become a key factor to consider for all web designers today. From flashy designs to responsive design, the web design is still going through evolution. So how can we master the essential art of modern website design? It’s quite simple actually. 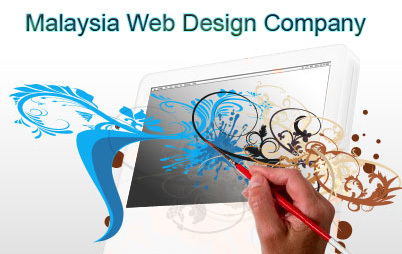 First and foremost the golden rule of website design is simplicity. It is an essential ingredient for successful modern websites. Many designers end up with over cluttered and messy websites all because they are scared on missing out something or want to include every feature available. Avoid this approach completely. The main thing you as a designer should consider is who your users are and what they prefer. Design your website with only necessary content and as minimalistic as you can so that the users can focus only on what is really meaningful and important. Clean and simple design layouts count for the most popular websites today. One other feature that the modern website designs call out for is a flat design. What do I mean by flat design you ask? Flat design is basically design without the drop shadows, gradients, and textures that have been common in web design for some time. Flat design uses solid colors and often typography figures prominently into the design. One major example of a website using such design style is the one and only Facebook that we have come to know and love. Using a flat design style not only makes the website more attractive and neat but it also paves the way for responsive design which is the next thing in design today. No doubt, it is easier for web designers to make a website with flat design responsive than one with skeuomorphic design that features all the gradients and 3D elements to resemble real life products. Why do we care so much about making the website a responsive one? The answer is future technology that we are going to embrace. As mentioned earlier, the emergence of mobile web rose with the introduction of gadgets such as smart phones, tablets and laptops. Now, everybody views and browses the internet on their mobile devices, so why build different platforms for every device when we can make a one that gets fit to every screen? All we have to do is to put some extra effort and come up with a responsive design layout. The core idea here is to imagine you as the artist with a single canvas that is dynamic and fluid by nature. Lastly ensure that your website integrates with social media. Provide icons either on the header or sidebar or even footer that integrates with the most popular social media such as Facebook, Twitter, Google Plus or YouTube so that your visitors can share the content through your site. You can also integrate your own social media feeds for your visitors to view. The art of modern website design is easy once you know what trends and features are viable for your website. Being a web designer, just follow these simple rules I have mentioned above and you would have mastered the art. And of course, do not forget to keep up with the ever changing trends!